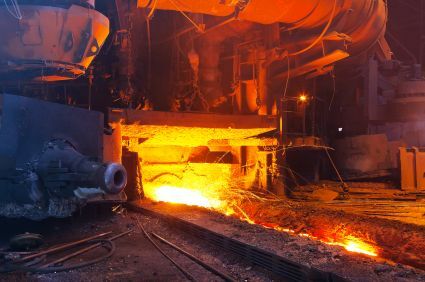 Keeping heat contained within the furnace to ensure a consistent temperature for various manufacturing processes. Most commonly used by steel mills, coal burning power plants, tubing manufacturers and aluminum extruders. Furnace Curtains - made of high strength, corrosion resistant steel wire that can withstand heat of up to 2300�F (1260�C). Our furnace curtains are one of the simplest and most effective ways to conserve energy and save you money. See our Furnace Curtains for more information.